The summer of 1917 should have been a summer like any other. Stephen Robbins should have been doing the same thing he'd been doing for years past. As a young boy he'd fled his life in a secluded mountain cove and risen through the ranks to become the manager of the South's finest resort, the elegant Mountain Park Hotel. By all rights, he should have spent this summer as host to some of the wealthiest gentry on the East Coast. Hans Ruser, German Commodore of the world's largest and most luxurious cruise liner, Vaderland, should have been sailing yet again with his elite passengers to the far corners of the world. And Anna Ulmann, captivating and beautiful, should have been at home in her New York mansion planning yet another lavish dinner party for her famous husband and his rich and powerful friends. She should have idled away her spare time by taking perfectly staged photographic portraits of the very same people. 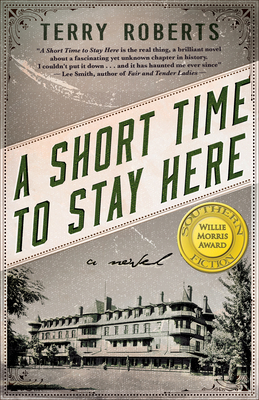 But war will change everything that should have been in that summer of 1917-- the U.S. enters WWI and the Mountain Park Hotel is pressed into service as an internment camp for over 2,000 German nationals, including Ruser and his men. This sudden collision of lives and cultures in the small town of Hot Springs, North Carolina is both frightening and exhilarating. And the unlikely alliance that forms between Hans Ruser and Stephen Robbins will force each to decide just how far they are willing to go to keep peace in the beautiful and isolated mountains. Feisty Anna Ulmann, seeking to assert her independence in a male-dominated world, mysteriously flees south to devote her life to documentary photography. When she steps off the train at the Hot Springs depot one sultry summer day, she could not have imagined the passionate journey that will result when she matches wits with Stephen Robbins. Haunted by demons both past and present, they will face heartbreaking tragedy. Yet together they will discover the true meaning of imprisonment and escape.